I had all these plans about starting to post again, but I think I’m going to start back up again with the new year. There’s just something so refreshing about a brand new start, isn’t there? 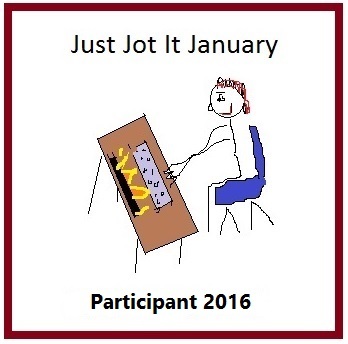 I’m usually the one who doesn’t wait to start things (like diets or exercise programs) until a Monday or a new year. I’ve always said that if I’m set on starting something, I’m going to start it right this moment. Writing is one of those things that has been hard to get back into when I stop doing it for a while. It takes practice… but you do have to start somewhere. Anyway, I know it’s a bit cliche, but I’m okay with that. Hopefully you are too and we can all find some great music to share to start out our new year. Our theme for Song Lyric Sunday is to post a song about new beginnings. About 10 years ago, this choice would have been very different. It’s not that I don’t like giving and the idea of Christmas, because I love all of that; I just went through a few years where I didn’t really have a place to call home and then the place my fiance and I lived in was just too small to really decorate or do anything. I suppose that’s a bit of a cop out. I really just got tired of Christmas in general… it’s so commercialized and I’m not religious, so the whole other aspect of Christmas is just lost on me at this point. I miss Christmas. I miss the excitement and the joy and the magic of it all. I’ve decided (pretty much in the last two hours) that my goal for next year and the rest of my life is to be more like Elf rather than the Grinch. You are going to see a whole new Christmas me next year, I promise. But, for now, and this year in particular… I’m the Grinch. Haha. I’ve said multiple times this year and in years past, that I hate Christmas. But truly, deep down, I really do have a heart and I really do love Christmas. I just haven’t found my idea of Christmas yet. I hope you enjoy this spectacular version of the song that I heard just today. And really, Merry Christmas to my most amazing blogging family. I’ve missed you in the past month and I plan to get back into the swing of things soon. Your heart is full of unwashed socks, your soul is full of gunk, Mr. Grinch! Given a choice between you I’d take the seasick crocodile! The Song Lyric Sunday theme for this week was to post a song a Holiday song that best describes you during the Holiday season. Please feel free to click the link, read the rules and post one of your own. Can you even believe this year is almost gone? I know I can’t. There were many amazing things that happened, but it was also a pretty rough year… lots of stress with buying the house and then basically closing it out with surgery. I appreciate all of you for continuing to support Song Lyric Sunday, even in my relative absence this past month. I especially want to thank my sister for filling in last week. I ended up staying an extra day in the hospital and by the time I got home, I wasn’t up for blogging at all. But I’m happy I was able to keep things moving along and that she stepped in to help us out. Considering tomorrow is Christmas, I’m not sure how many will play along, but I figured I would make it easy for everyone. Of course, I think we should all pick a Holiday song, but I decided to add a little twist. So, our theme for Song Lyric Sunday is to post a Holiday song that best describes you during the holiday season. Hello all, this is Dlrands/Lorrie, and when Helen asked if I would be willing to guest blog this week, I jumped at the opportunity. As some of you might know, I am her sister, and I love sharing in Song Lyric Sunday. I am not the writer that Helen is, I can write a pretty descent history essay though, so I hope you will all bear (bare?) with me. This week has been a roller-coaster of emotions, I think Helen will agree with that, and it got me to thinking about what makes me feel better. Ironically when I asked my family what the theme should be this week it seemed to fit perfectly with what I have been feeling. I have always included in family when I post submissions, so it only seemed right to ask their opinion on this as well. So the theme for Song Lyric Sunday is to post a song that makes you feel better. I am sure that Helen has done something similar to this already, but I think we can all use a pick-me-up from time to time. I realize how open this is, but I think it will be interesting to see what you all come up with. I’ve heard at least one song by this band that I thought was okay, but it never really struck me enough to go look up more of their music. I happened to hear this particular song on The Voice this week and it actually made me think of the prompt. I’ve had an on-again off-again relationship with my parents over the years, but this year was a particularly hard one for my Mom and I. I went through a few weeks where I considered whether I really wanted or needed either of my parents in my life. It’s been a slow, steady process, but my Mom and I are making progress in a good direction. This song really hit me and made me think of her. She’s always been one person I could call when things were bad, even when I wasn’t sure about our relationship. A few weeks ago, I had to leave work early because I was in so much pain. The drive home was difficult and I wanted to talk to someone to help get me there. My Mom wasn’t the first person I thought of, but she was pretty damn near close and she picked up on the second ring. The Song Lyric Sunday theme for this week was to post a song about needing someone. Please feel free to click the link, read the rules and post one of your own. This entire week has been a blur of work, moving and dealing with the emotions of leaving one home behind and beginning in a new (well new for us) one. I haven’t really sat down to take a breathe, but I figured now was a fantastic time, since it’s Saturday and time for your Song Lyric Sunday Theme. I just barely got my computer up and running and things look halfway decent, which is pretty amazing considering we only finally moved in on Thursday. The one thing I learned during this move, though, was that sometimes you need to count on others to help you out. I’m a pretty independent person and it’s hard for me to ask for help, but sometimes the need is just too great… which brings us to our theme. Our theme for Song Lyric Sunday is to post a song about needing someone. P.S. I haven’t had a chance to listen to everyone’s posts from last week. I’m still planning to get to every one of them, but it may take some time. I hope you are all checking out each other’s posts because everyone is posting some great music! Thank you SO much for participating each week and making this such an enjoyable experience for me. This isn’t a very deep song, but it was the first one I thought of when I thought of the prompt. I love the band and I fell in love with the video the moment I saw it. I also relate to the lyrics because I don’t like change either. I believe that’s why this move has started to make me feel so down. We starting boxing things up today and everything is out of order and a mess. It makes me feel so weird. I believe we are constantly changing, so I don’t believe that anyone stays the same, but that doesn’t mean I don’t fight it like crazy. I suppose that’s part of what makes people unhappy and miserable. Perhaps I should be more accepting. I hope you enjoy the song as much as I do. I’ve just decided I’m going to add it to my playlist because it’s a fun, upbeat song I can pack boxes to while listening and trying to realize that change is happening whether I’m ready for it or not! All these buckets of rain, I’ve heard enough about. You say that I lied. I am a gentleman didn’t I ask for a place I could stay? What were we both thinking? The next part just got in the way. What if I was the same man, same man, the same I always was? like I’ll forget about the mind-numbing games that you play. every bit every time and then you feed me some line. Guess what I am the same man, same man, same man I’ve always been. Days pass and turn into weeks, when we don’t even speak. We just lay wide awake and pretend we’re asleep. and you’re looking at me like I’m something you own. All these buckets of rain, you can’t forget about it, you say I never tried. Guess what I am the same man, same man. 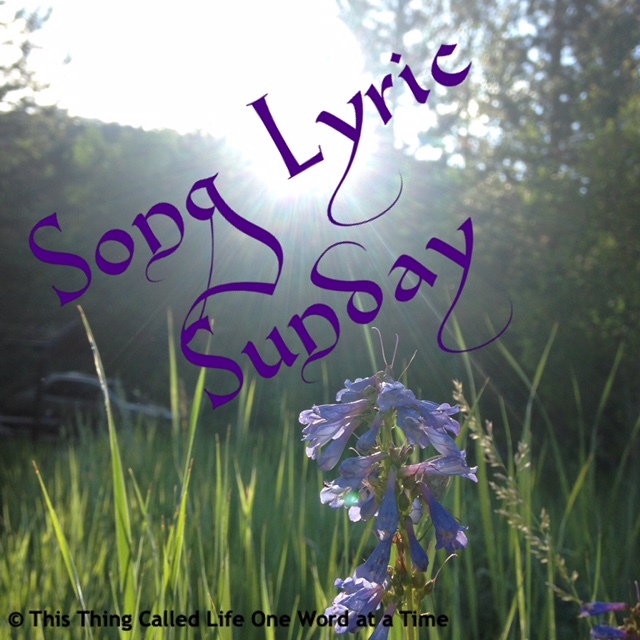 The Song Lyric Sunday theme for this week was to post a song about change. Please feel free to click the link, read the rules and post one of your own.